This is the umbrella universe for the Ragnarok Rising Trilogy, Ragnarok Shorts and possible future works. This is NOT an open universe. Incompatible, Transfigured & Part 1 of 'Destiny' at Fictionmania and The Spellbinder Universe at TG Storytime. Can Jim resist the temptation to explore his new body? Perhaps more importantly, can he keep Allison at bay? The sewer in my basement has backed up... again! Fortunately, I managed to catch it pretty early and nothing important inside the house is damaged, but I did have to go to the laundromat to wash all the clothes that got sewage on them... NOT FUN! The last time it backed up, a lot of stuff got thrown out and nothing important is stored down there. Unfortunately, this time the back up was caused by the main sewer line collapsing. Which means I can't use my toilet or shower or really use any running water at this point. When he awakens the morning following his twist, Jim is confronted with the harsh realities of his new existence. To make matters worse Allison has taken an interest in 'helping' him adjust to his new predicament. Please follow this link to read part 12 or this one to read all parts. When Jim and Megan share a kiss, it rocks Jim's world, but can his heart bear what follows? Please click here to read part 11 or this link to read all parts. Comments are very much appreciated, and it afford you the opportunity to influence future story parts. You may also make use of the like buttons. a whole new world of possibilities has opened up to him. Please follow this link to read part 10 or this one read all parts. Please take a moment to leave feedback on my website. Not only does it help encourage me, you might have the opportunity to influence the story. Likes are also appreciated. After a trip to the restroom helped Jim sees himself in the mirror for the first time and is discovers just how much had changed. Please go here to read this week's part or here to read all parts. If you enjoy the story please take a moment to comment on my website. You may also make use of the like buttons. Now that he's been rejected by his mother, what will Jim do with his life now? As he comes to grips with his situation, he sees the first signs that his body isn't the only thing that has changed. Regarding my previous blog. First, I'd like to thank everyone who rang in and offered their sympathies. Although the writing had been on the wall for a good amount of time, it came as a shock. I am still feeling down, but I believe I've accepted the reality of the situation. I wasn't prepared for the emotional impact and I truly feel as if I am in mourning. Some of you may know this, most of you probably don't, but I've mentioned here in comments that I was afraid for my job. Well, it appears, just as I feared, that I will be getting laid off by April. After his Twist, Jim and Megan are left alone in detention area. Megan's father arrives and a few secrets come to light. Please follow this link to read this week's part or this one to read all parts. Jim awakens to find himself surrounded by onlookers, but as he becomes aware of his new, and very naked, female body he realized he has much bigger problems. Please click here to read this week's part or here to read all parts. This particular part of the story sparked the most debate of anything I've ever written. Looking back, I believe much of the criticism was warranted, but this time around I hope I've managed make this so called 'naked march' more plausible. Before leaping to conclusions please be assured there will be repercussions at the end of story that I hope will satisfy any of the remaining naysayers. If you enjoy the story, please take the time to comment. You may also make use of the like buttons on my website. follow this one to read all four parts. Eager to make full use of his incredible opportunity Jim begins playing with menu options despite Alex's protests. If he had known what was to follow, he wouldn't have been so enthusiastic. Please click here to read this week's part. Click here to read both parts. Jim's dreams take a rather disturbing twist as he grapples with the question, "Who is my father?" Second part is up! This one's almost double length. Jim Rumsfield always believed he was regular teenage boy, but when he undergoes a twist he discovers he is anything but ordinary. 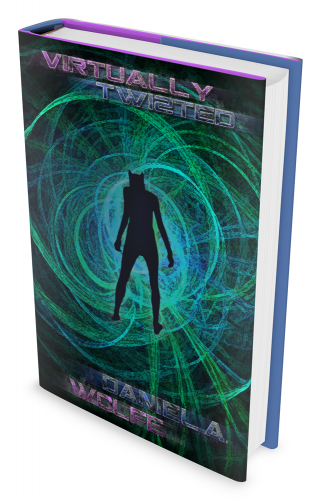 Those of you who follow my stories and blogs know I've been talking bout a rewrite for Virtually Twisted for years. I began writing it a number of years ago, but I set it aside in favor of other projects. Now I've picked it back up and today I have begun serializing it on my website. This blog was originally posted on my website. You may view the original poll post here. First, I'd just like to thank everyone who participated in the previous poll. It's been a couple weeks, okay well, more like four, but who's counting? Before I discuss my plans, why don't we take a look at the poll results? I just posted a new Christmas story on my website! Santa is no longer the merrymaker we all remember. After his wife has left him, Santa turns to alcohol to fill the void in his heart. It's Samson the elf's job to keep him from doing anything that would get him into trouble, but when the old man accidentally consumes a mysterious potion, Samson finds his job has gotten a whole lot more difficult. I thought thought I'd leave a quick note to let everyone know that Psyren's Redemption is now on BigCloset. Thank you all for your support and have a delightfully demented day. Read more about Psyren now on BigCloset! I'd just like to take a moment and thank everyone who participating in the poll on my website. It's given me some valued insight. I'll post a blog sometime soon and discuss my plans for the future. Okay, so I thought I'd take another stab at this poll thing. This time around, I have a few new stories to the list and instead of choosing one story. Each idea on a scale can be rated from 0 to 5. I'll repost the full text of the blog here, but due to technical limitations the only way to answer the poll is on my website. Yeah, you read that right. I planned to post the remaining part of the story in five different installments, but, what the hell, I decided to suprise everyone and post it all in one fell swoop (totalling just under 10,000 words). So let's get this show on the road, shall we? Did Indigo Knight act in time to save Ashira? Will Sapphira and Amy have their happy ending? What has become of poor Awe and Hailey? All these questions will be answered and more. Come on over to my site for the conclussion to this epic tale. Indigo Knight's attack has had its desired effect and Ashira was spared from a death at Babalawo's hands, but will she recover from her injuries in time to finally defeat Chemosh or will they all suffer a fate worse than death? Follow this link to read this week's part. This one to read the entire chapter. Inches from death, Sapphira and Amy are left at the mercy of Chemosh’s puppet. Will they perish at his hands or will they find help in the most unlikely of places? Click here to read this week's chapter. Go to the my stories page of the site to view individual parts or chapters and/or other stories. When they light clears, the tables have turned and Sapphira, Ashtar and Amy pose are stronger than they ever had before, but will they prove Chemosh's downfall or does the once-god have one last surprise up her sleeves? I apologize for the late posting this week, I had some personal issues in the real world and it's just been a very strange week for me. Having faced down her own demons Amy must now face down Sapphira's, but will she have the strength or will Chemosh triumph over them both? Just a quick note, if you read the story please consider leaving a comment. It really helps encourage me to keep writing. Now that the exemplars have drawn into their own mental prisons, Amy is left to face the ghosts of her past alone. Can she overcome them without psychic abilities or will she succumb to her personal demons? So this week I've come down with a particularly nasty virus that has left me sicker than a dog. I missed two days of work which should tell you how sick I am as I rarely call in. I mention this not to elicit sympathy, but rather as explanation. I seldom am so sick that it effects my writing, but since taking ill I sit down at my keyboard and I am unable to string even so much as two words together. Even writing this blog is taking me far longer than it normally would. Read more about It's weird isn't it? Anyone familiar with 'The Tick' Comic/TV series? Is there anyone familiar with 'The Tick' comics and/or TV series (in particular the 90s cartoon or the 2000s live-action)? I recently started watching the amazon 'Original' reboot of The Tick and was a little disheartened to discover that the superhero agency was called AEGIS. For those that are following my ongoing serial on my website you're probably beginning to realize my problem, but for those that aren't well... I also named the superhero agency in my series AEGIS. Read more about Anyone familiar with 'The Tick' Comic/TV series? I posted a new blog on my website giving a bit of an update on both my writing and the site itself. I'm seeking a little bit of input on the new site theme. If you don't mind terribly, could you pop over read the blog and give me your input.Click here to read it. So, I'm looking for a little input on which story I should tackle next. For convenience sake, I'm going to re-post my blog here, but you'll need to actually visit my site to vote on the poll. This was originally posted on my website, but I felt I should share it here as well. Apologies, for my absence over the last three weeks. December was a difficult and frankly odd month for me at least where the real world is concerned. I’m back and thankfully, most of the drama that was keeping me away has now died down. I’ll resume posting next week, but until then please accept my deepest apologies. A man has made a deal with the devil, now that one of Lady Satan's servants has come to collect his life will be changed forever. I thought I'd take a break from our regularly scheduled programing and do something a little special for Halloween. Yesterday, I rewrote 'Devil's Due' one of my old Mixed Tape Entries. It's more than double the length of the original and best of all the new version is now considered part of the official canon for my meridian-verse. Just a note to my fans as discussed in my previous blog, the first part of my new serial is up on my website! I do hope you enjoy. Click the link below to read it. Also, I added a direct link to the RSS feed on my website to make it easier for folks to subscribe. I'd just like to take a moment and thank everyone who participated in the poll on my website. I've gone over the results and my final decision concerning the future of my website in this weeks blog post. And surprise, I've opened up two of my story universes to other authors! You can read about it on my website. If you have any thoughts, please, leave a comment here or on danielawolfe.com. I just put up a poll on my website and am hoping folks here could head on over and vote on the sort of content I'll be adding to my website in the future. Mainly this would be for fans of my writing/people who intend to visit my website. Cast your vote or share comments in the blog. Either way, your thoughts will be appreciated. First of all, I'd like to once again thank everyone who offered condolences over the passing of my dog. It was really appreciated and helped give me comfort in my time of grief. Haven't been getting a lot of writing done. My dog and constant companion of almost ten years and best friend, passed away unexpectedly late last week. I don't really feel much like writing right now. I've always been a bit socially awkward so I don't have many friends. Coming home to her after a day of work was always the highlight of my day. Read more about Haven't been getting a lot of writing done. Any one fluent in Spanish hereabouts who'd be willing to do a little bit of proofing? I have a few lines of spoken dialogue in my story that are in Español, and I want to make sure I've translated them correctly. Whoever offers their help will get a hole heaping pile of nothing, unless my undying gratitude and an honorable mention in my author's rant counts for something. Read more about Any Spanish speakers?